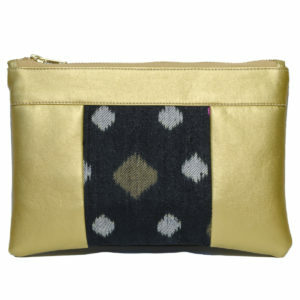 With its small and practical format, the Diana vegan pouch is best slipped into a bigger bag to easily find your small and important items. 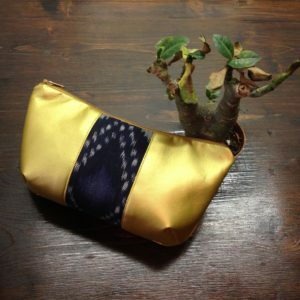 Diana can also be used as a wallet, a makeup bag or to store accessories such as jewelry. Each pouch is unique! 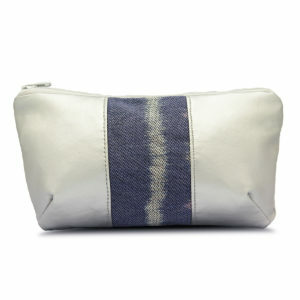 The Silver pouch is the chic detail making the difference. This version will make you shine, with sobriety thanks to the Starry Black matching. 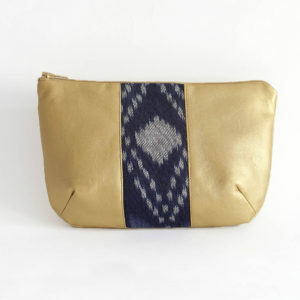 This pouch was handmade by persons in a professional integration workshop in Saint-Denis, right outside of Paris. 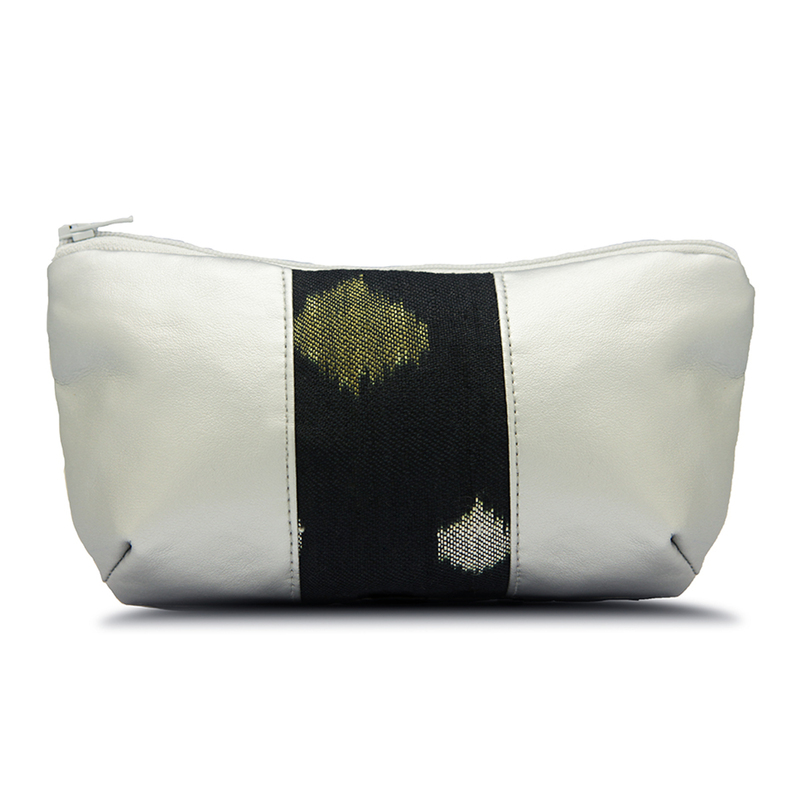 Outside : Vegan Leather (55% Cotton, 45% PU), Ikat textile (80% Cotton, 20% Polyester). Lining : 40% NewLife PET, 30% Recycled Cotton, 30% Recycled Polyester. 18cm x 12cm x 4cm (7,1" x 4,7" x 1,6").